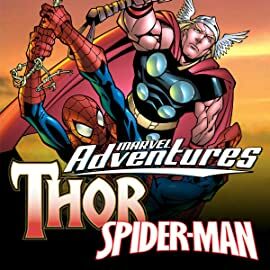 Collects Marvel Age Spider-Man Team-Up #4, Marvel Adventures Spider-Man #40, Marvel Team-Up #115-116 And Thor #391. Two of Marvel's mightiest heroes unite in one action-packed digest! 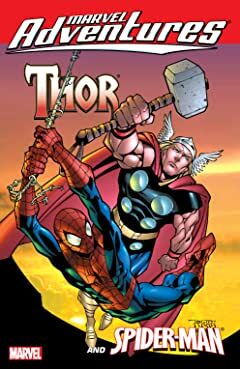 First, when a horde of trolls freeze time to launch surprise attacks on both Earth and Asgard, the Amazing Spider-Man and the Mighty Thor find themselves the only ones left to stand against the armies of Krillk the Conqueror! Then, Spidey goes Norse after he unwittingly aids a devious demi-goddess! And in classic Marvel team-up action, the Thunder God and everybody's friendly neighborhood wall-crawler face the menace of the Mind-Bender and the mayhem of the Moongoose, and Spider-Man goes on the wackiest and wildest ride of his life!